What is Maremma? 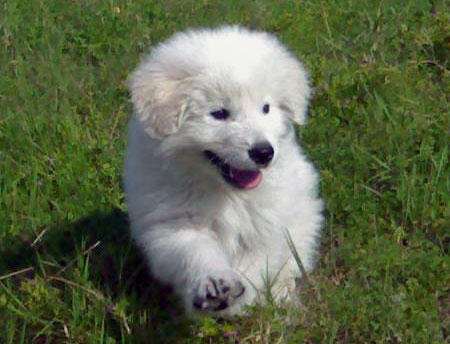 Maremma is a name of a breed livestock guardian dog whose origin came from Italy. It was a Sheep dog who watched and guards a herd of goats and sheep’s. You can rely on him. Solid muscular built with thick white coat, large head and a black nose that often change during the years of aging. Her coat sometimes has a tinge of yellow and golden brown especially when the sun hit’s her coat. The ears are V-shaped and pointed. The eyes are black or gray and stares at you lovingly and intelligently. Now this is funny because his tail is short or low shape with thick long hair. 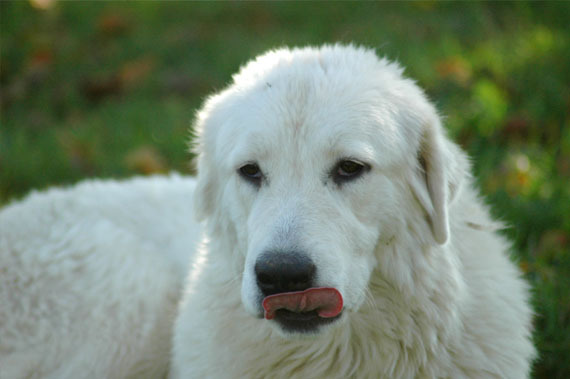 Maremma is a friendly dog and well-balanced flock guardian. It is also an excellent companion. Sober, intelligent, wise, affectionate, brave and loyal. When the dog hears something, her ears would suddenly prick out or stand upward and listen to the noise then he'll check it out. It will defend its house and master. It is an amazing dog who loves his work, a terrible enemy of the wolf but tame with a man. I enjoyed your post about maremma. It was interesting! I had never heard of this kind of dog before. He looks so soft and cuddly. Great job!